Brighton Seafront is a mixed gender residence which offers students single rooms. All bedrooms have en-suite showering facilities, underfloor heating and a wall-mounted flat screen television. Wi-Fi is available throughout the building. 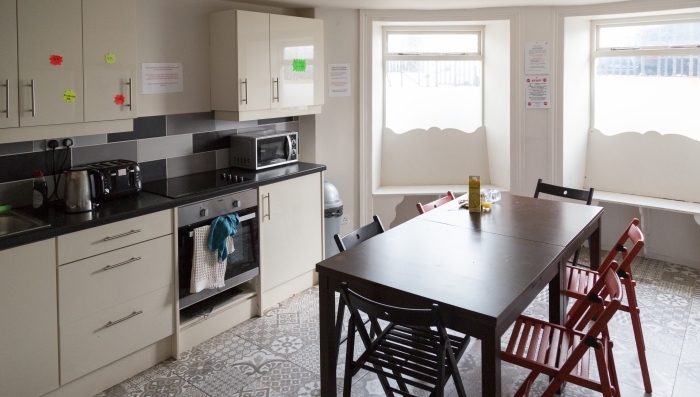 There is a large, fully equipped kitchen and laundry facilities. Seafront is a 16 minute walk from the city centre or a 12 minute journey using public transport. Brighton Seafront Residence is located across the road from the beach and a short stroll to the pier and city centre. Brighton’s main attractions, shops and famous nightlife are only a short leisurely walk away. Seafront is an approx. 5 - 7 minute walk from EC Brighton school or a 2 minute journey using public transport. If you booked an EC arrival transfer, you will meet an EC transportation representative holding an EC Brighton sign in the arrivals hall. Upon arrival please call the EC Brighton emergency number +44 (0) 7714 459205 when you are approximately 30 minutes away from Brighton and a member of staff will meet you at the residence, show you to your room and provide you with your residence keys. Students should bring their own beach towels. The residence accommodates both male and female students. You will be required to sign a tenancy agreement on arrival to the residence. No credit card or bank details are required on arrival however, payment for damages must be effected immediately. If you are unable to check into your residence on the pre-booked day of arrival, please call the emergency number and advise our staff of your intended check in date and estimated time of arrival.